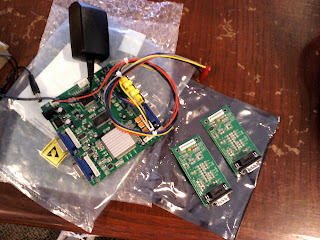 Well, when I went to the TOGA meeting the other day, I was hoping the C128 VGA adapter project engineer had news to tell me, like whether a new 2013 prototype would be show at this year's July 27-28 CommVEx. Nope. However, he has made significant progress in nailing down those elusive color values.